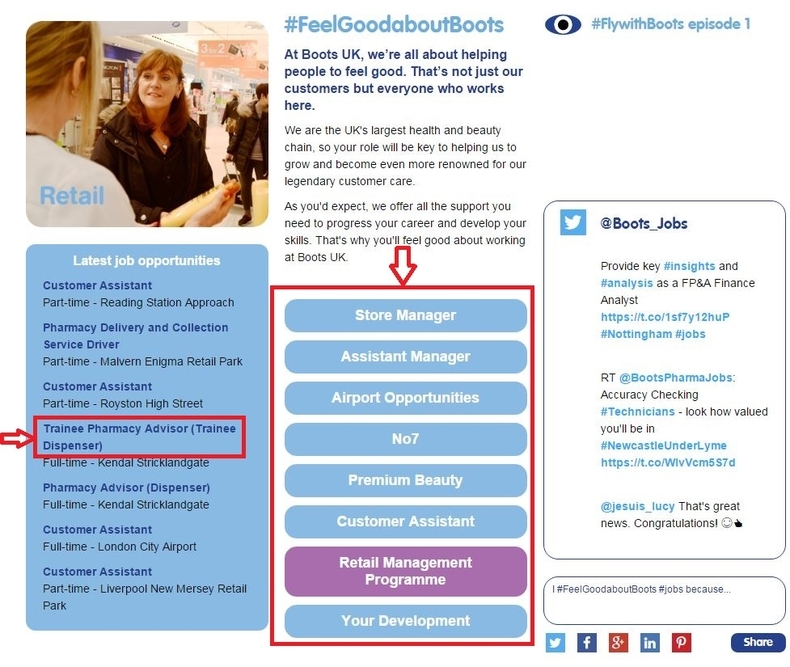 Go to Boots careers page at boots.jobs or boots.careers and you'll be displayed three ways to view job opportunities - Search directly in the search box by entering your keywords like job title or select one of the career areas or pick one from the Latest job opportunities. Here we just choose Retail as example to go through the Boots online application process. After you pick the retail as your career path in the last step, you're presented with the listed job opportunities at the left side or you may also choose one of the specific category in the middle to continue with the application process. 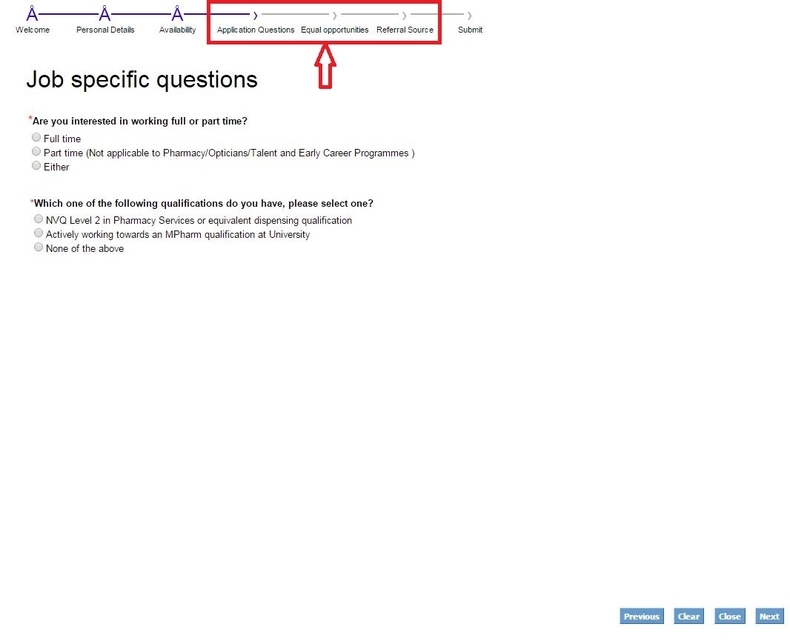 Here we just click the Trainee Pharmacy Advisor (Trainee Dispenser) to take a try of Boots online application. 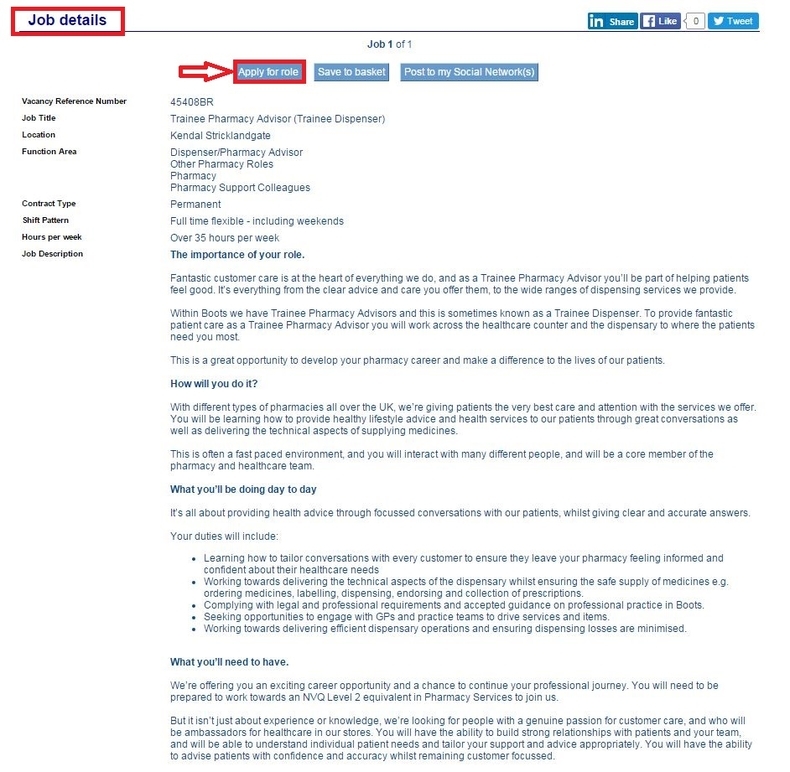 Please note that some of the job posting you are looking for has expired or the position has already been filled. 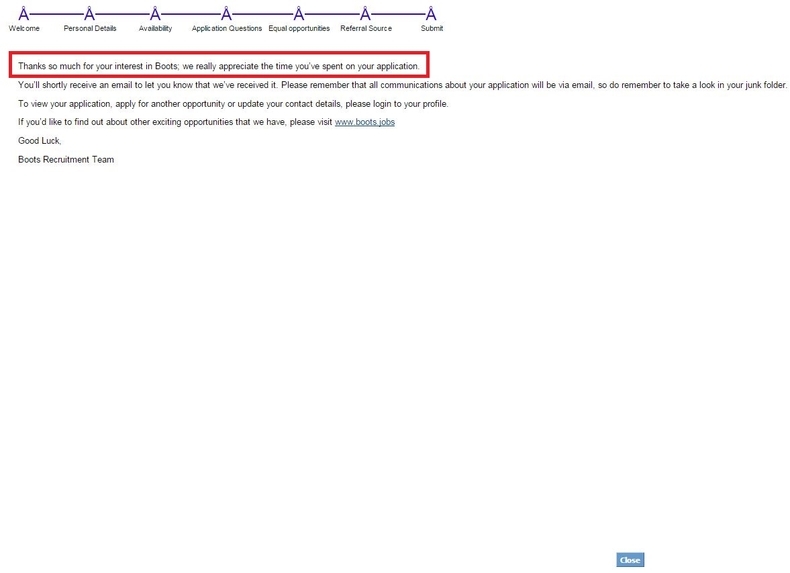 So if you the position you'd like to apply for isn't available, you may click go back to the Boots career site and search for other job titles. Read job details including Vacancy Reference Number, Job Title, Location, Function Area, Contract Type, Shift Pattern, Hours per week and Job Description and click Apply for role if you are ok with the details listed. If you have already got a profile, please log in here. If not, this is your chance to create one, it will enable you to search and save jobs, set up job alerts for roles that you’re interested in by clicking on ‘search agent’ and keep a check on how your application is doing. Here you can create your personalized profile, just select one of the options below to get started. 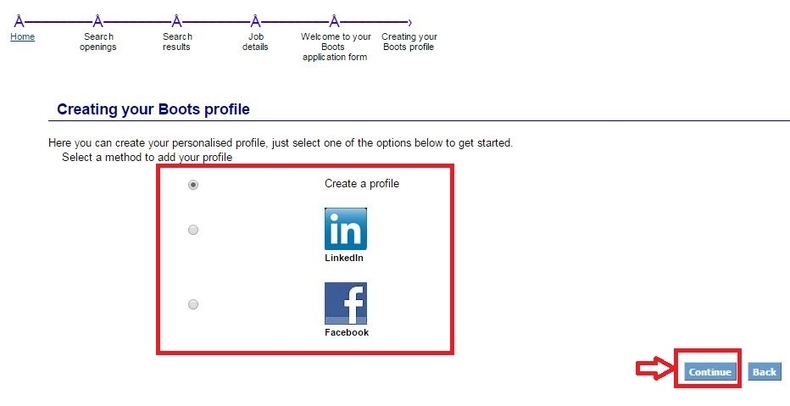 Select a method to add your profile from Your LinkedIn Account or Facebook Account. Answer some pre-employment questions to help Boots find out a little bit more about you, after which you'll be presented the page below asking you to provide your personal details and indicate your availability. Give your response to some application questions including job specific questions and supporting application questions and then move to the equal opportunities part by selecting your gender, age range, marital and disability status, ethnic group and nationality. 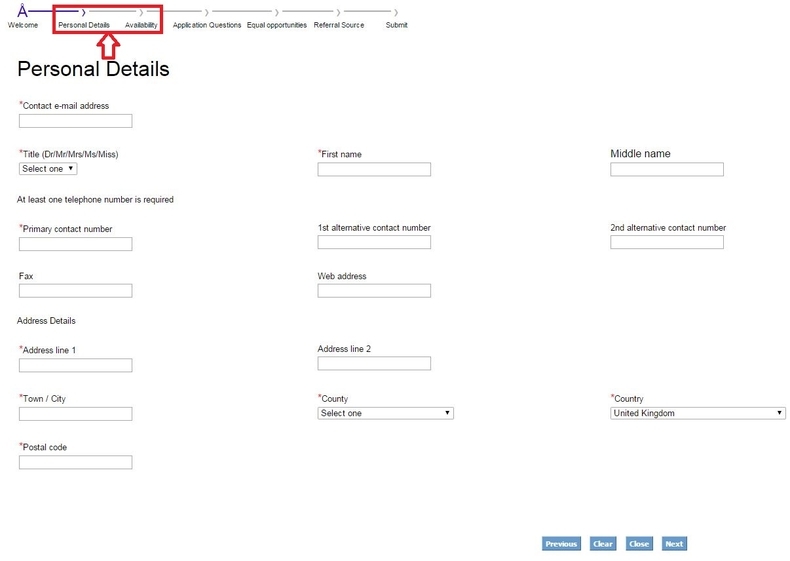 Afterwards, you're led to the referral source section to select the source of where you first heard about this vacancy. 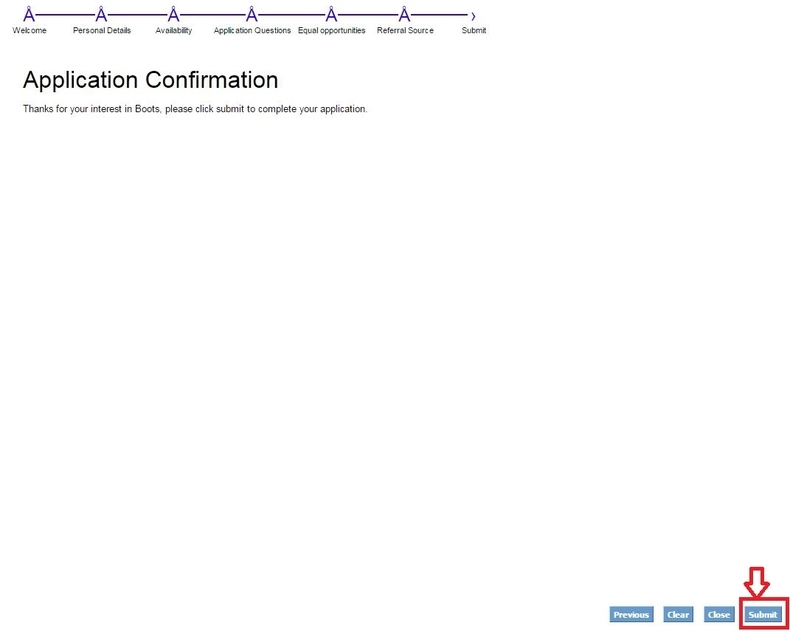 Submit your Boots online application by pressing Submit button. Be sure to fill out all needed info. When you see the notes - Thanks so much for your interest in Boots; we really appreciate the time you’ve spent on your application, it means you've completed your Boots online application. You will soon be contacted once you're proved to be equal to the job. Click boots.jobs to apply for Boots jobs online.